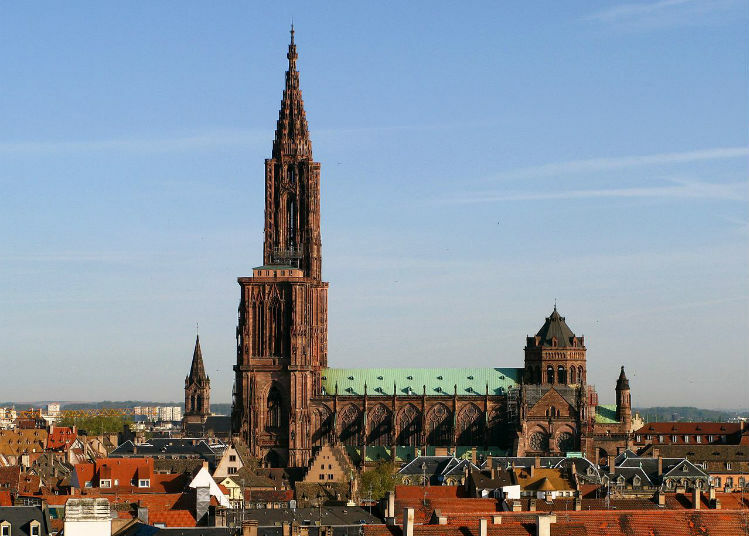 Flagship city of Alsace and Europe, Strasbourg is full of authenticity and originality. Its cathedral, its many museums and its downtown are the main reasons why. Several monuments and places are regarded as World Heritage Sites by UNESCO, which contributes to its worldwide reputation. One of the positive points about the city is its accessibility thanks to the public transportation and its numerous Bus and Tramway lines. Strasbourg wants to take care of environment: its cycle paths cover 348 miles, making it the first cycle network of the entire country of France. This district has many monuments from the Roman era to the XIXth century (such as The Covered Bridges, The Vauban Dam or even The Tanners’ house). That way, you can admire the architectural progress of the city. While you are there, don’t miss out on the Strasbourg Christmas Market on the Place Broglie, which is known to be the biggest and oldest French one. 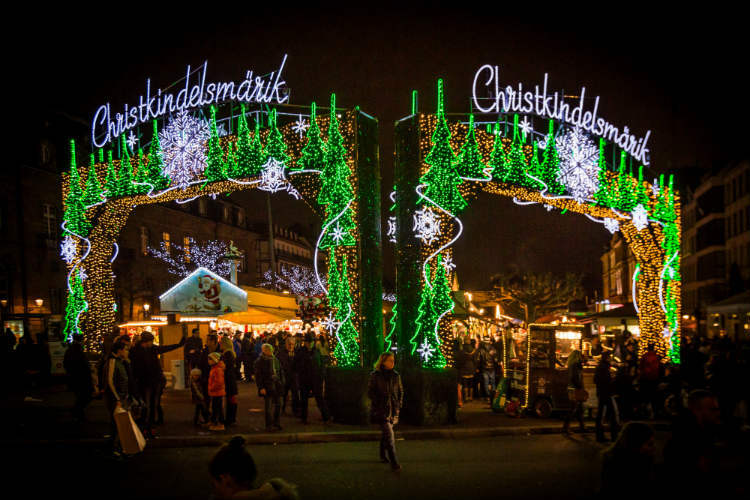 It starts every year on the 1st Sunday of December and ends on December 31st at night. There you will find original gifts ideas for your loved ones or for yourself. You will also savour Alsacian delicacies: Sauerkraut, Baeckeoffe, Kougelhopf, Mauricettes, Bretzels, Gingerbread and Tarte Flambée will not fail you. Served with a delicious mulled wine (to consume moderately), it is the perfect opportunity to get warm during the wintertime while discovering Alsatian gastronomy. As it is a worldwide success, you should avoid going at certain time slots to avoid the mob of 2 million yearly visitors. The best times to visit it are from 11:00 A.M. to noon as it opens, and from 1:00 P.M. to 3:00 P.M. You should avoid going between 1:00 P.M. and 2:00 P.M. because the people living in this area, the workers and the tourists usually lunch there during Christmastime. The inhabitants of the district are young households, and there are also lots of students. The atmosphere there is quiet and vibrant at the same time, which means you won’t be bored for a second. This quarter is one of the most touristic areas together with the cathedral quarter, and there are many affordable hotels as well as high-end ones. This quarter is full of the town staple structures, which will without a doubt please people who love culture and history. The Place Kleber is the main square of Strasbourg, located downtown. Local people and tourists enjoy its dynamism and the little shops in the Aubette Shopping Center. The Gayot Marketplace, which is a five-minute walk from Notre Dame Cathedral, often called the PMG, is also loved by the locals. Before, it was a poultry and herbal market, and nowadays, it has become a butchery. We can find high-quality meat in the covered market to cook a delicious dish! Many restaurants and bars are located on the Place Kleber, in a typical background with half-timbered houses and little doors (the legend says dwarves used to live there), as well as the “Hole Rock” sculpture which embodies a meteorite that fell from the sky. The Notre Dame Cathedral, a 15-minute walk from Strasbourg Station, is the flagship monument of the city, a genuine treasure of gothic art. Its greatness and its sculptures tell you a holy story that will leave you stunned and amazed! Every day, at noon, a movie is projected on the astronomical clock, followed by an apostle parade. It will impress little ones as well as adults! During the night, the cathedral lights up into one thousand and one colors that sublimate its frontage. The Rohan Palace, which is also located in this quarter at a three-minute walk from the cathedral, used to be the residence of many important figures. It was one of the poshest European princely residences! This palace gathers 3 museums: the palace, which formerly was princely apartments, Decoratives Arts Museum and Fine Arts Museum as well. Being the most touristic quarter, thanks to its renowned cathedral, hotels are located all around the quarter. The prices can be even lower than in the Station quarter. La Petite France is the most picturesque district. In the past, fishermen, millers and tanners used to work there. 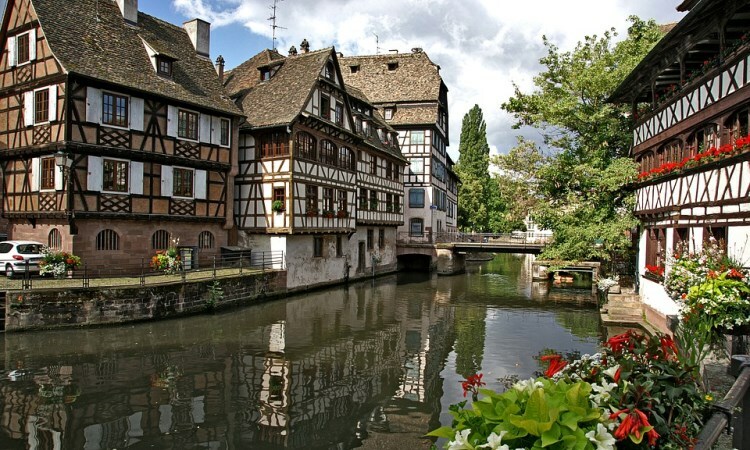 Located in the Old Strasbourg, we can contemplate its half-timbered houses. These typically Alsatian houses from the XVI and the XVII centuries are easily identifiable by their impressive wooden beams and their untreated wood. You can soothe yourself while sitting on a bench by the “ILL” river, or even get on a boat to enjoy a nice meal while listening to the guide’s commentary. Classified on the UNESCO World Heritage List, this neighborhood is known worldwide and loved by everyone, especially by families and lovers for its romantic and peaceful aspects after the sunset. For you history lovers, you have to take a walk along the old German fortifications. The quarter is liked a lot by tourists; therefore, there is an impressive increase of accommodations. The Krutenau district is a 25-minute walk from the Station. Located near the Rohan Palace (a 5-minute walk) and various museums, it’s the “Bobo” quarter of Strasbourg, where apartments are the most expensive. We can find numerous restaurants, bars and hotels close to every monument from gastronomic to sushi restaurants, passing by Italian, Portuguese and Lebanese restaurants. As well as many lounge bars, wine bars, and also cabarets, it will please all your cravings as you enjoy the festive atmosphere! You will turn the clock back to the Middle Ages by walking into its atypical streets. This quarter shows off the historic past of the town thanks to its Tobacco Fabric from the 1960s, which is close to its New University, making it an important French university town. There are many hotels in this district, going from affordable prices to expensive ones for prestigious hotels; they are also more competitive than in other districts. They start from 30€/night to 260€/night in luxurious hotels. But if you’re looking for a more typical accommodation, you should choose a hotel at the Cour du Corbeau into a half-timbered typical Alsatian house. There are also restaurants in this courtyard. 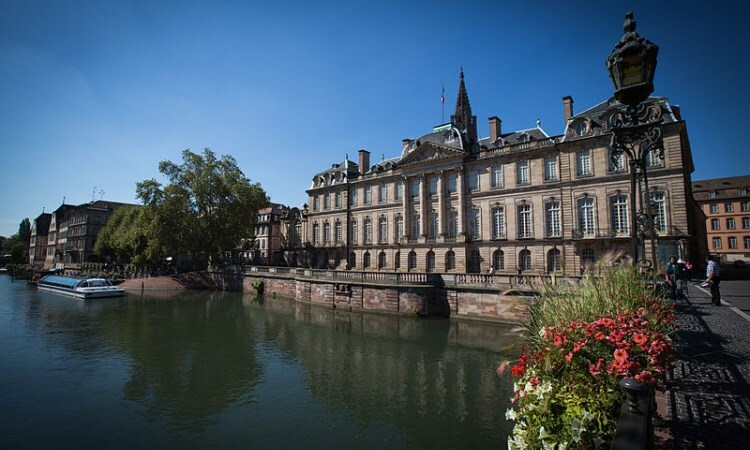 Strasbourg, located at the German border, is well-known for being a European City hosting a lot of European institutions. The Head of the European Council gathers yearly the 47 countries of the continent. 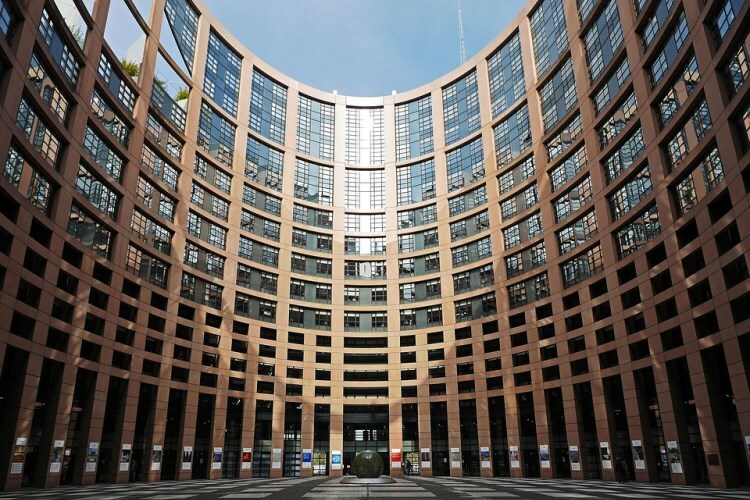 On top of that, there are other institutions such as the European Parliament, the European Council, the European Court of Human Rights and the European Palace. The Expositions Parc is also located a few minutes’ walk away. The bucolic Parc of the Orangery is located a few minutes away at the south-east of the business center and allows you to take a deep breath of fresh air. The quarter is served by Tramway C and E and by bus 6, 33 and 72. It is located only 25 minutes from the main Station or 45 minutes by foot. As for the hotels, a great number of them are adjusted for business use. Banquet and conference halls, luxurious rooms and suites and also fitness rooms are there to satisfy these demanding customers. Prices climb up to 300€ per night in these luxury hotels. Hotel chains have more affordable prices that will differ between 60€ to 80€ per night.